The Titanoboa lived 60 million years ago and is the largest, longest, and heaviest snake ever discovered. 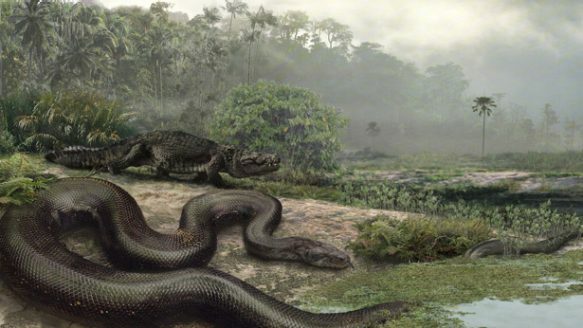 Titanoboa is the largest an extinct genus of snake that lived approximately 60–58 million years ago, during the Paleocene epoch,a 10-million-year period immediately following the dinosaur extinction event. The only known species is Titanoboa cerrejonensis, the largest, longest, and heaviest snake ever discovered, which supplanted the previous record holder, Gigantophis.